The title-granting ceremony was held last Saturday under the framework of the Quảng Bình Cave Festival 2017, themed Vương Quốc Hang Động – Kỳ Vỹ và Huyền Thoại (Cave Kingdom – Glamourous and Legendary), at Bảo Ninh Square in the province. The festival, held every two years, aims to introduce and promote Quảng Bình and its outstanding resources, with more than 300 alluring, unique and grand caves, which have unique geology and rich biodiversity, along with making Quảng Bình’s tourism a spearhead industry of the locality. The festival kicked off last Saturday, attracting the participation of Minister of Culture, Sports and Tourism, Nguyễn Ngọc Thiện, Minister of Information and Communications Trương Minh Tuấn, leaders of Quảng Bình Province, locals and tourists. Speaking at the opening ceremony, chairman of Quảng Bình Province’s People’s Committee Nguyễn Hữu Hoài highlighted Quảng Bình as a new destination attracting both local and international tourists with its unique tourism products. 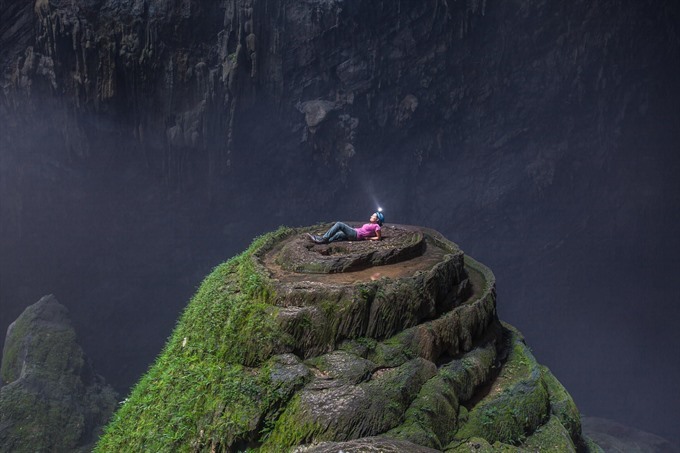 “With its charming mystery and grandeur, unspoiled beauty, Quảng Bình is truly ’the kingdom of caves’ and a paradise for visitors,” Hoài said. Also at the opening night, famous artists such as Mỹ Linh, Mỹ Tâm, Anh Thơ, Trọng Tấn and Đinh Hương performed to the audience. Quảng Bình Cave Festival 2017, on until June 25, features a range of activities, including Quảng Bình cave discovery, a parade, boat and kayak racing, sports contests and an EDM Beach Party. Quảng Bình is famous for its cave, incredible mountain scenery and sprawling beaches. Its Phong Nha-Kẻ Bàng National Park was recognised as a World Heritage Site by UNESCO in 2003 thanks to its impressive scenery and archaeological value. Quảng Bình is also where American fantasy movie Pan in Neverland and American blockbuster Kong: Skull Island were filmed.